Betsy Constantine is the Executive Vice President of the Community Foundation. In this role, she leads the team that works side-by-side with clients to understand what inspires their unique charitable giving and helps chart a course to ensure those wishes are carried out today, tomorrow and forever. The Community Foundation has 400 active clients and is carrying on the legacies of an additional 500 clients who have entrusted the Foundation with more than $485 million. With nearly a decade of expertise in philanthropy and planned giving, Betsy identifies and develops customized opportunities for charitably inclined individuals and organizations seeking to fulfill their long-term goals. She also manages the Client Relations, Communications, Giving Strategies and Youth Sports teams. Before working in philanthropy, Betsy held positions for more than ten years in financial services. Previously, she worked at Lehman Brothers in New York City, as the Vice President of High Net worth Marketing Communications. In this role, she oversaw the marketing, branding and advertising strategies for the financial institution’s high net worth client business. Previously, she worked as a Global Marketing Manager at Morgan Stanley, where she managed a $100 million advertising, branding and market research budget. She also worked as a Portfolio Assistant in Private Wealth Management for Morgan Stanley. Betsy received her B.A. in Economics from Franklin & Marshall College and M.A. in Social Work from the State University of New York at Buffalo. 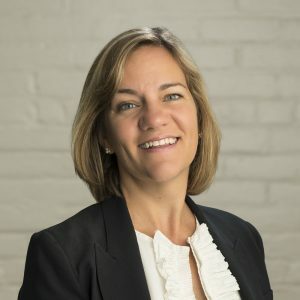 She serves as Chair of the Board of Directors at Child & Family Services and is a member of the WNY Women’s Foundation Board and the Elmwood Franklin Board of Trustees. She is also actively involved with the Western New York Planned Giving Consortium and Leave a Legacy Western New York. Betsy is also a member of the Community Foundation Fundamentals Faculty at the Council on Foundations.